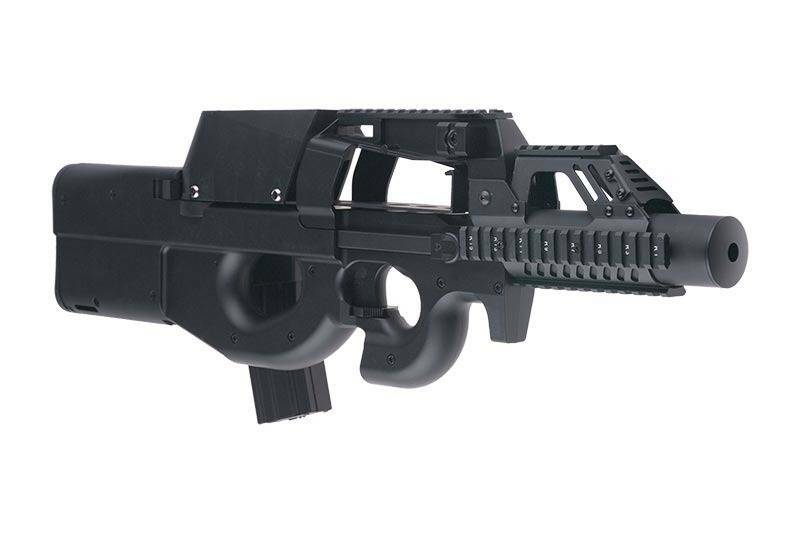 The FN P90, more commonly known as simply the P90, is a compact PDW built by Fabrique Nationale with a compact design and armor piercing capabilities. Originally developed before 1991, the P90 has seen increasing use with government groups over the past years and has become very well known thanks to its role in popular culture. Was involved in Gulf War , Afghanistan War , Iraq War , Libyan Civil War . Reward Points 350 points will be rewarded to you when you buy this item.